SPELL SYSTEM - WAKFU Tutorials - Learn to Play - WAKFU, The strategic MMORPG with a real environmental and political system. You must have added a spell to your deck before you can use it in battle. 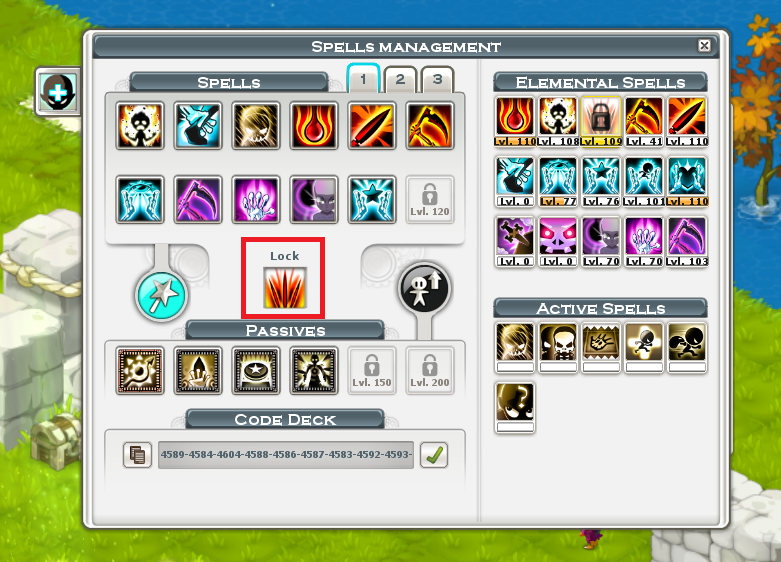 You must have added a passive spell to your deck before you can use it in battle. You can change the spells in your deck at any time, except in combat! Deck Interface: How do you add spells or passive spells to a deck? Click on an empty spell slot, which opens up the spell page, then select the spell you want. Click on the spell tab, which opens up the spell page (which looks like the current interface). 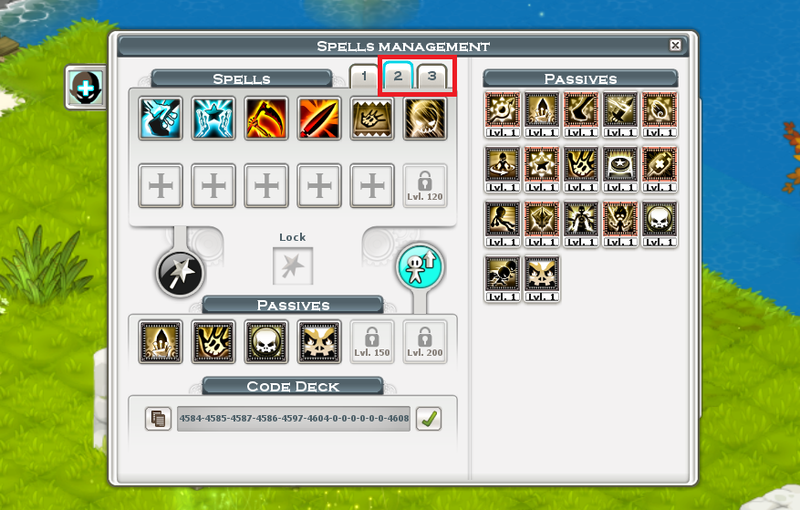 You can then drag and drop the selected spells into empty slots. Pro-tips : You can also drag and drop a spell that’s in one deck into another deck to switch things up! Spells you add to your deck will appear in exactly the same order in your spell bar. This will work in exactly the same way for passive spells, but via the passive spell page. To move a spell, all you have to do is select it and move it to your shortcut bar or the “Spells” section of your deck interface. You can put both elemental and active spells here. The order is not important. 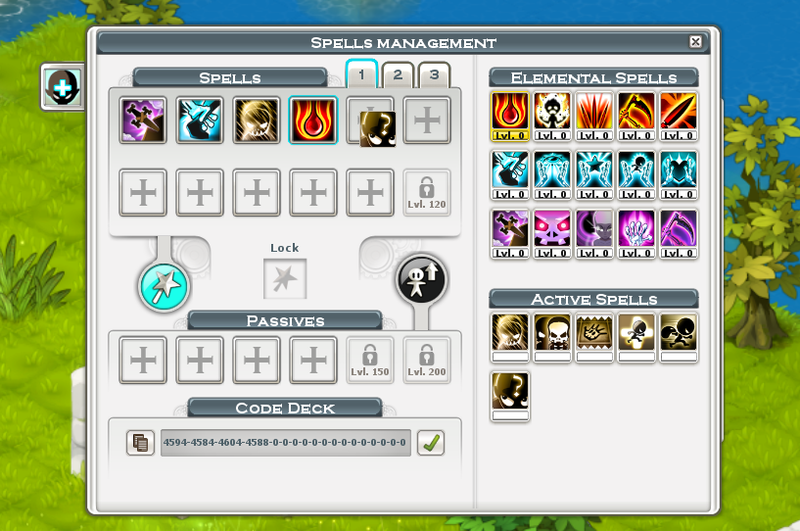 However, the spell interface has a finite number of slots, which will be unlocked as your character levels up. Elemental spells are specific to each class and its style of gameplay. They are unlocked as the character levels up throughout the game. You will begin with a base of 5 elemental spells at level 1, increasing up to a total of 10 elemental spells at level 200. The more you use a spell, the more levels it will gain and the more powerful it will be. However, an elemental spell can’t exceed your character’s level. But it is possible to get all your spells to the maximum level. Elemental spells are classified by the type of damage they cause, such as Fire, Water, or Earth. Elemental spells have a variety of strategic uses: offensive, defensive, healing, or movement. Each active spell is unlocked at a specific character level. Passive spells level up by themselves at certain character levels. Here’s an example: a passive spell that is unlocked at level 20 and adds +60 Dodge would level up automatically at level 120 and would add +180 Dodge. 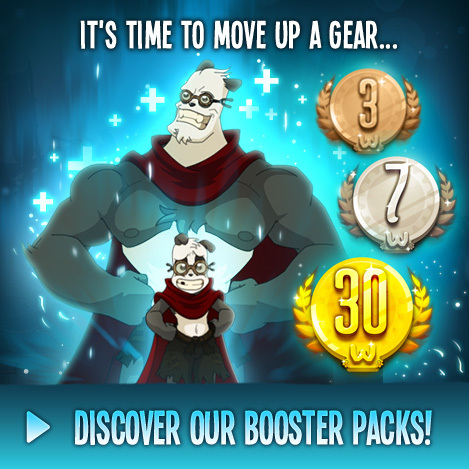 All of these unlocks take place as a character levels up, from level 1 to level 200. It will be possible to customize up to three decks in the game and switch between them quickly. You can adapt your deck depending on the situation by quickly changing decks before each combat. 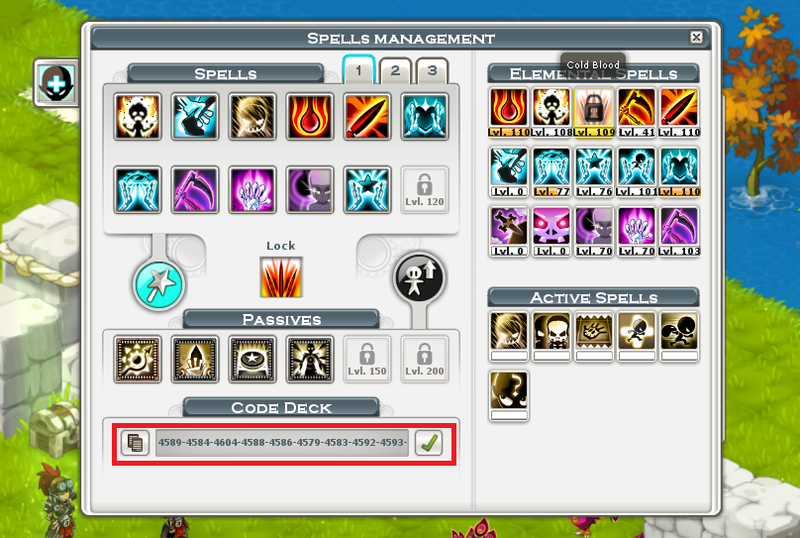 Once your deck has been established, a code will be generated in the “Deck Code” slot. You can keep this code or share it with your friends in order to generate your deck at any time. Pretty handy! When you put a spell in the “Spell Lock” square, the XP this spell gains is consumed for the benefit of the other spells above it. This way, the spell in the spell lock will lose levels during your battles and the spells used in combat will get XP faster.